Ceramic There are 11 products. We know something about your clients and employees – they love their tea and coffee in the morning! And with laser-engraved ceramic drinkware from Sutter’s Mill Specialties, they will love your brand too. 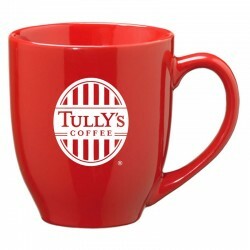 Choose from a variety of custom-branded coffee mugs in multiple colors and styles. In the mood for something different? We also offer imprinted ceramic shot glasses and steins. Your logo will really stand out on this high-quality ceramic drinkware. This tumbler combines a beautiful ceramic drinkware item with a durable silicone slip-resistant base. A larger version of our chic barista mug, this trendy ceramic mug fits perfectly in your hand and has a sleek matte gunmetal finish. 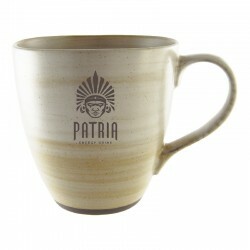 This elegant, tapered ceramic mug is available in a beautiful cream or grey background that will make your logo stand out. This elegant, custom-branded ceramic tumbler features a stunning reactive glaze finish. 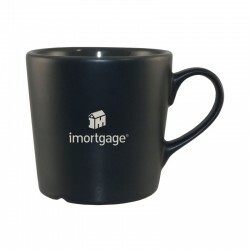 This elegant, tapered ceramic mug is available in multiple bold colors that will make your logo stand out. 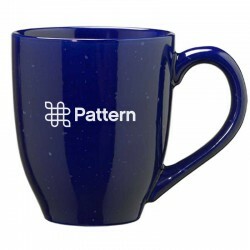 This sleek, personalized coffee mug looks incredible with a speckled color scheme that accentuates your logo. 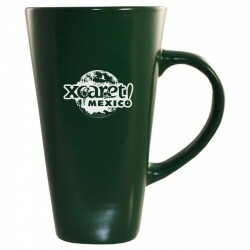 This large, classic, customized mug is one of our most popular, and available in a variety of bright colors. 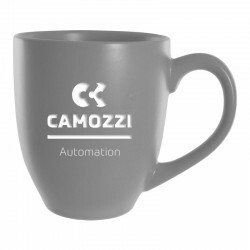 Present your company in style with this tall, elegant, personalized coffee mug. 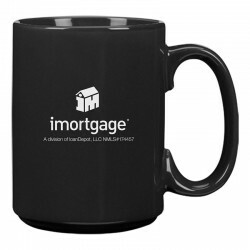 With so many available colors, this customized mug is perfect for your next marketing campaign. This unique, personalized drinkware piece will really draw attention to your company.